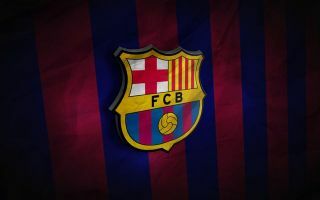 A trio of Barcelona superstars have reportedly given the green light for the club to make a fundamental addition to the squad in the January transfer window. The Catalan giants remain on course to achieve their objectives this season, as they sit top of the La Liga standings and their Champions League group. With that in mind, it would appear as though coach Ernesto Valverde doesn’t need to do a great deal to strengthen, and has found the balance required to ensure that they enjoy a successful campaign. However, as noted by Sport, they have been linked with a surprise move for Chelsea defender David Luiz in January to bolster their defensive options. Given the injuries suffered by Samuel Umtiti and Thomas Vermaelen, it does make sense from a Barcelona perspective. Nevertheless, given the crucial role the Brazilian international has played for Chelsea boss Maurizio Sarri so far this season, it’s difficult to see the Blues allowing him to leave. According to Don Balon though, Philippe Coutinho, Lionel Messi and Luis Suarez have all approved of the move, and with Luiz’s current contract set to expire at the end of the season, it could give grounds for Chelsea to avoid losing him for nothing and selling in January for a decent fee. It remains to be seen if the situation plays out that way, as given his important role under Sarri and Chelsea’s own pursuit of major honours this season, it doesn’t seem to make too much sense for Luiz to move on at this moment in time. Barcelona have conceded 14 goals in 11 league games so far this season, giving them the joint worst defensive record of the top six sides. With that in mind, it’s no surprise that they are said to be considering defensive reinforcements, but time will tell if Luiz is a realistic solution regardless of whether or not their top names all want him at the Nou Camp.